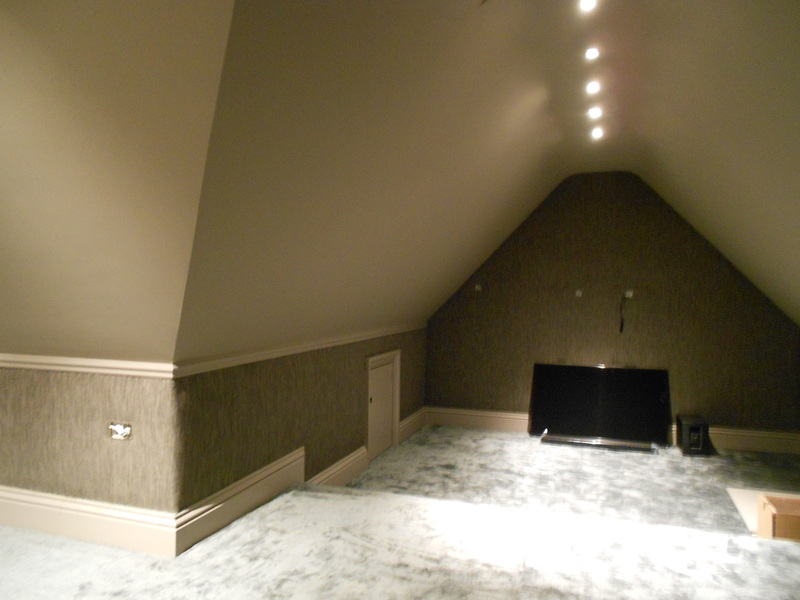 This cinema room is set in a large private residence in Gloucestershire with views from the cinema over the indoor pool. 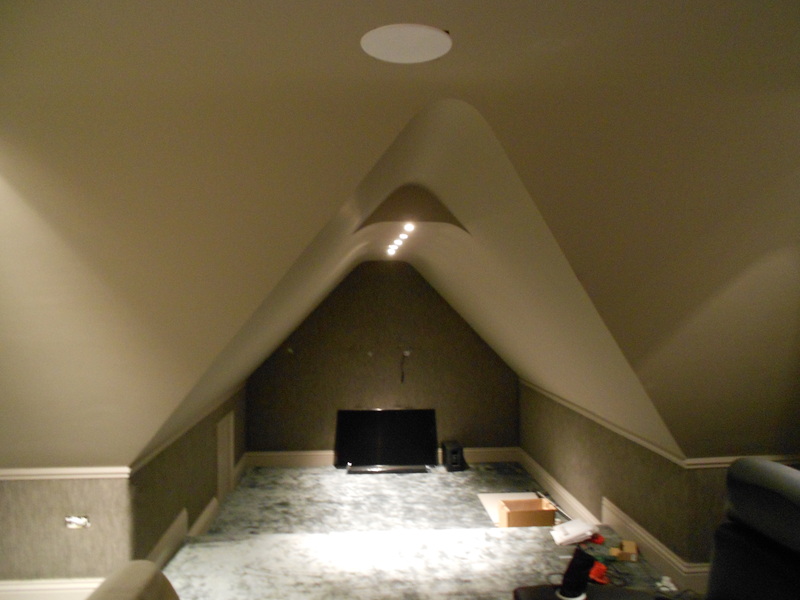 The brief was to provide a wall finish which would improve both sound proofing from other rooms and acoustic quality within this large room whilst taking into account some awkward angles and architectural features. The upholstery weight material was supplied by the interior design company.